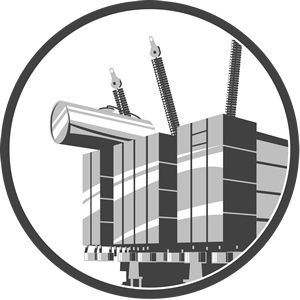 Transformers (generally) fall into two categories, dry type transformers, and liquid or oil-filled transformers. Even though the primary components are similar between dry and oil-filled transformers (core, coil, leads, etc.) the insulation used can be quite different. 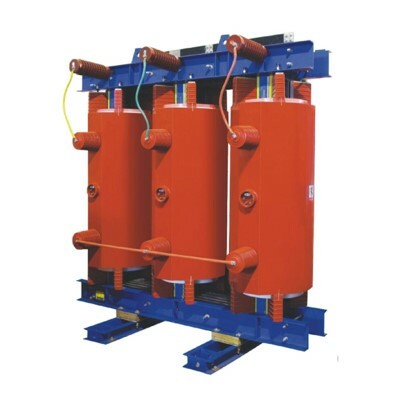 Dry type transformers utilize safety certified CSA and UL recognized high-temperature insulation systems, while oil-filled transformers use oil and high dielectric strength wood-based insulation materials. 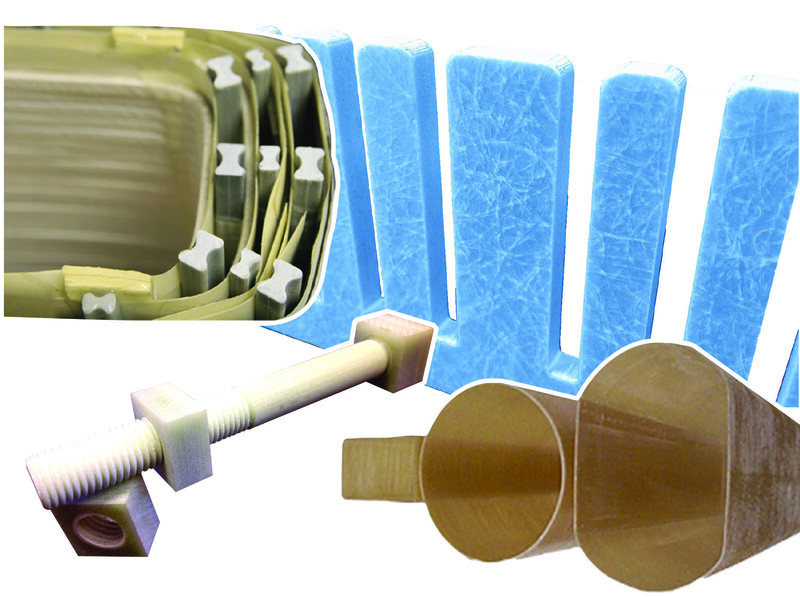 The Gund Company manufactures a wide range of insulation components for the various types of transformers. Whether a large, power, oil-filled transformer, a dry-type distribution transformer or low-voltage electronics transformer, our application engineering expertise can help our customers understand their options for insulation material selection and component design. 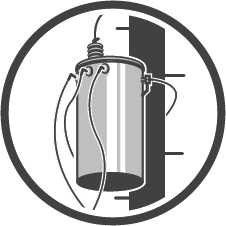 Oil-filled transformers use dielectric oil to insulate and cool the windings of the transformers. With the benefit of the dielectric oil to cool the transformer winding, relatively low-temperature insulation materials can be used in these designs. Typical insulation materials are cellulose-based products such as pressboard and laminated wood with relative temperature indices in the range of 80 °C to 105 °C. 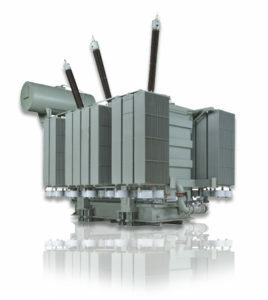 Oil-filled transformers are most commonly classified as power or distribution, depending on their size and application. The Gund Company supplies a range of insulating materials and components for each type of transformer. Power transformers are large, oil-filled transformers and are commonly divided by their rated power. 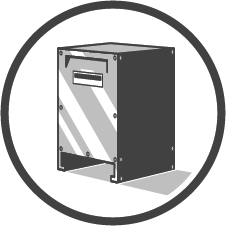 The small power transformer classification typically starts around 5 MVA with a maximum service voltage of 145 kV. Medium power transformers range from about 30 MVA to about 250 MVA and commonly work as network and generator step-up transformers. The large power transformer classification includes transformers with ratings greater than 250 MVA and voltages greater than 345 kV. The Gund Company supplies a wide variety of insulation components for the full range of power transformer designs and ratings. Click here to learn more about transformer gasket & sealing materials. 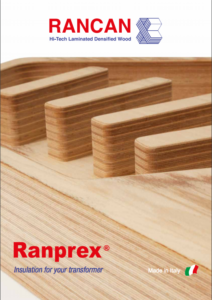 Ranprex® laminated wood from Rancan is a high density wooden laminate. Specially selected veneers of red beech wood are used as well as thermosetting resins, pressed under high temperature and pressure for its production. 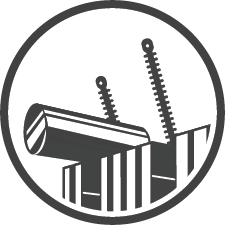 Ranprex® is available in several standard sheet sizes, as well as fully fabricated components, specific to your drawings/application. Oil-filled distribution transformers are most commonly pole mounted, or pad mounted. Pole mounted distribution transformers are so named because they are mounted to utility poles in most older urban, or rural areas. In suburban areas, built within the last few decades, most distribution lines are buried underground, so transformers are mounted on concrete pads in residential, commercial, or light industrial applications. The Gund Company manufactures and fabricates a variety of insulation material solutions for distribution transformers. While oil-filled transformers use dielectric oil to insulate and cool the windings of the transformer, dry type transformers are most commonly used in applications where the use of dielectric oil in the transformer design is not permitted. Without the cooling presence of dielectric oil, dry type transformer designs must use higher temperature insulation materials. Most dry type transformers made in North America are certified to UL and CSA recognized insulation systems. The Gund Company is a vertically integrated manufacturer of these high-temperature insulation materials, including materials rated at 155 °C, 180 °C, and 220 °C that has been specifically tested per UL 1446 for chemical compatibility with a long list of UL recognized insulation systems. 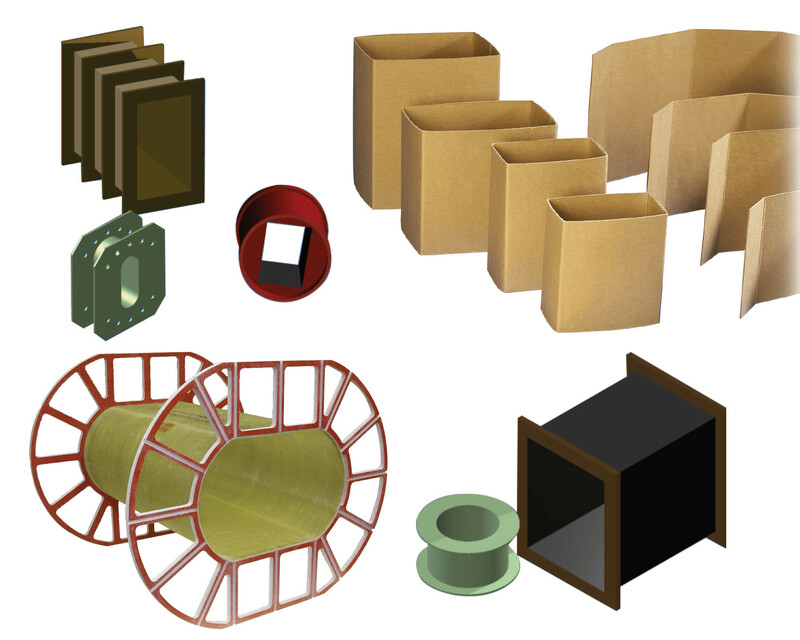 The Gund Company offers a variety of insulation components for the following types of dry type transformers. Also known as barrel wound transformers, layer-wound transformers are most commonly used in low-voltage (<600v Class) applications. 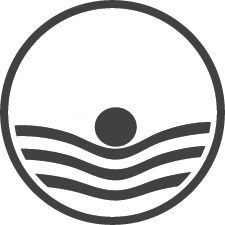 Layer-wound units are so called because the coil is made by wrapping a layer of conductor around an insulated winding form and then wrapping a layer of insulation over the conductor. The coil is built by wrapping a layer of conductor and then a layer of insulation in successive layers per the design. This design typically relies on high-temperature spacer sticks called "dogbones" that are used to create the air cooling passages. 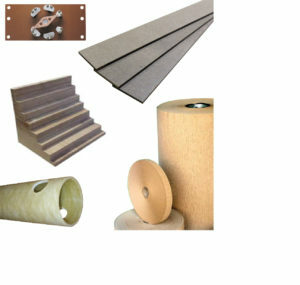 Between the primary and secondary coils, it is common to have a layer of flexible insulation such as Nomex® Aramid Paper or even a flexible glass polyester laminate such as Grade N200F or Grade FHT. Disc-wound transformer designs are typically rated for higher voltage applications than barrel or layer-wound transformers. Disc-wound transformers are so-called because the conductor is wrapped around the coil in such a way as to make the coil appear to be a series of stacked discs, separated by airflow gaps. These units use either radial spacers or winding combs to form the conductor support and winding path around the coil while providing the air gaps necessary for air flow through the coil. These radial spacers and winding combs are typically made with high-temperature (130 °C, 155 °C, 180 °C, or 220 °C) glass polyester insulation material such as NEMA GPO-3, NEMA GPO-1 (Grades: N155, N180, N220, SG-200, or HST-II). Cast coil transformers have coils that have been manufactured using a vacuum molding process that fully impregnates and insulates the conductors with a polyester or epoxy resin system in most designs. The cast coil design allows for higher short circuit strength and overload capacity. Due to significantly different coil design, cast coil units require different insulating components than other types of dry type transformers. Common cast coil insulation components supplied by The Gund Company include saturated DMD, NMN, and glass epoxy B-stage layer insulations, as well as “dogbone” spacer sticks. Reactors have either iron core or air core construction. 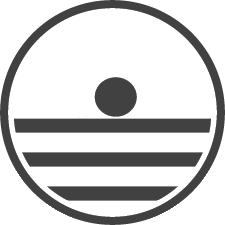 They are used to help control quality by limiting load faults and surges, or high power lines. Reactors are typically used in substation construction, close to a load that may cause significant swings in power quality. 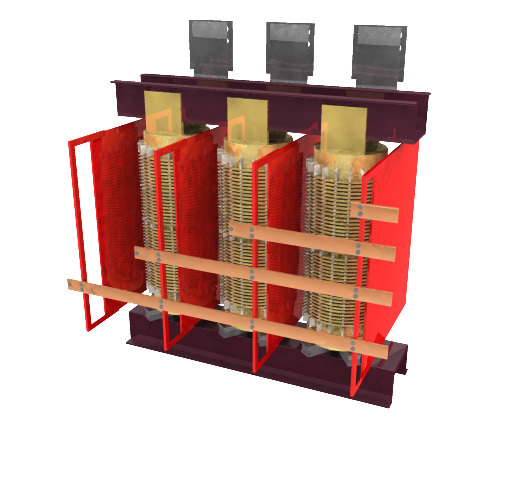 Reactors are often used in conjunction with capacitor banks to help control power quality. 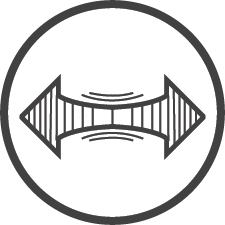 All air core reactors have conducting windings that are wound much like a disc-wound, dry type transformer coil. The Gund Company uses a “Dry Type Transformer Checklist” to assist our customers with reviewing material and component specifications. The checklist is also helpful for setting up kitting programs as well as vendor managed inventory programs by transformer design. Contact one of our transformer application material specialists today to learn more.